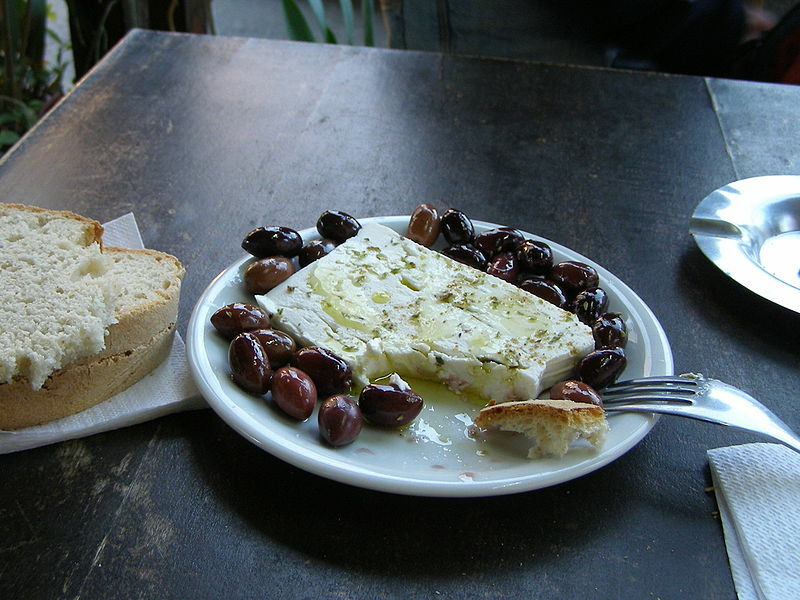 Feta is a brined curd cheese traditionally made in Greece. A sheep's milk cheese, varying amounts of goats’ milk may be added, as long as goat milk makes up less than 30% of the total mixture. 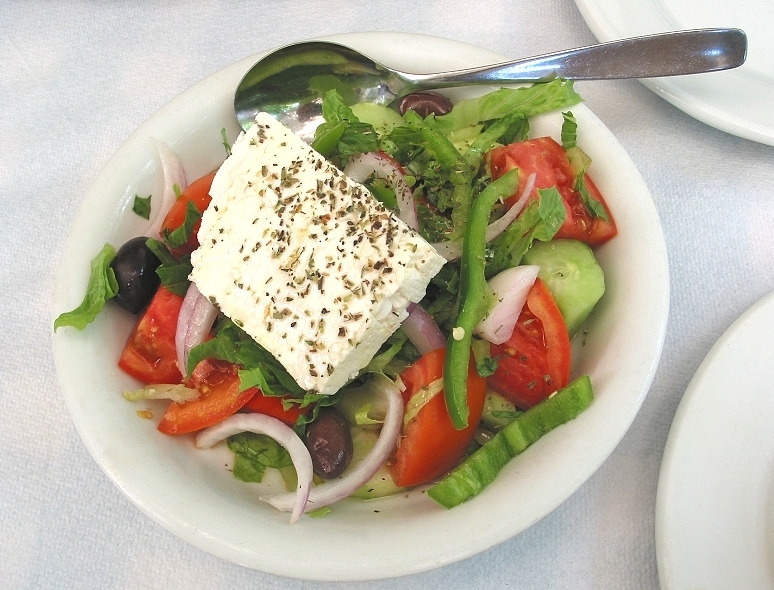 Since 2005, feta has been a protected designation of origin product in the European Union. 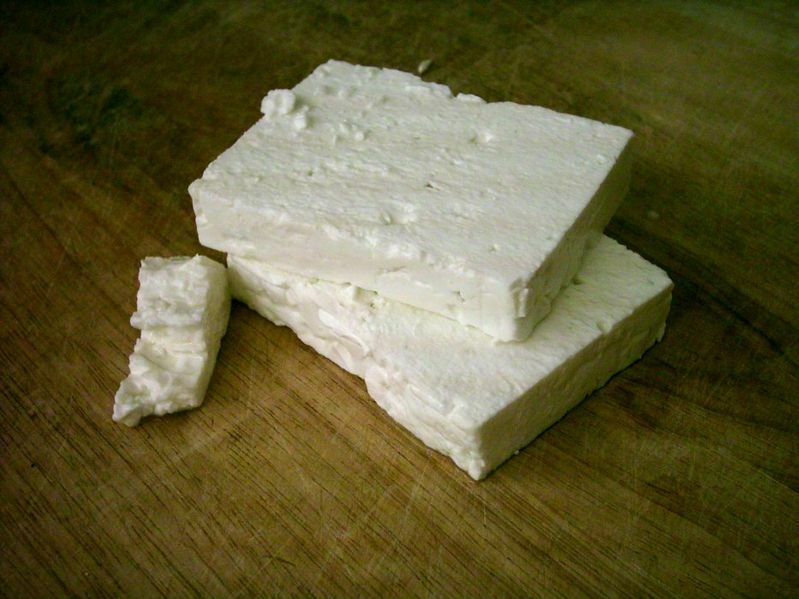 Although traditional feta cheese should only include sheep and goat's milk, it is quite common that cheese sold as 'feta' includes cow's milk, or even is composed exclusively of cow's milk. Similar white brined cheeses (often called 'white cheese' in various languages) are found in the eastern Mediterranean and around the Black Sea, for example, Russian brynza (брынза). Left: Feta in Greek salad.